Our nursery follows the Early Years Foundation Stage Curriculum (EYFS). The EYFS provides core principals for the learning and development of all children from birth until the age of 5. The EYFS curriculum is divided in to seven areas of learning. Helping children to respect themselves and others, develop a positive self-image, to learn about relationships and the importance of friendships. To learn to share, take turns and play fairly. To develop an understanding of what is right, what is wrong, and why. To care for others and respect their feelings, culture and beliefs. Helping children communicate effectively with each other and adults, by encouraging them to talk, listen AND TO VALUE WHAT THEY SAY. To develop their confidence to practice their language and communication skills through all areas of learning. Helping children to develop physical control of their bodies. Move and travel with co-ordination and balance, developing an awareness of space and safety, using a range of small and large apparatus indoors and outdoors. Be able to handle tools, objects, construction and malleable materials, such as clay and play dough with increasing control. Encouraging children to make marks and ascribe meaning to their marks, to recognise and write their name and begin to form some letter shapes. Begin to hear and say the sounds at the beginning of familiar words and to develop their awareness of hearing and saying rhyming words. Develop a love of books through stories, poems, songs, music and nursery rhymes. Helping children to develop their counting, number recognition and early calculating skills. To recognise shapes and different sizes and begin to use the correct mathematical vocabulary to describe objects by such features. Helping children to develop their knowledge and understanding of the world and their environment through investigating, experimenting, questioning and exploring. Helping children to develop their creative, imaginative and story telling skills. To learn simple songs and nursery rhymes and respond to music through dance and movement. To develop children’s CONFIDENCE and INDEPENDENCE TO MAKE THEIR OWN CHOICES and use a wide variety of materials and media to explore colour, texture, shape and pattern. Strategies for teaching and learning will vary and will be adapted to suit the needs of all children. Planning for early years experiences builds upon what the children already know and can do, and will accommodate their different levels of abilities and needs. The curriculum areas are planned for carefully to facilitate high quality education through child initiated and adult led play, both indoors and outdoors. Assessment is key in the EYFS to ensure that children are constantly learning, developing, achieving and reaching their full potential. Within nursery we find many different forms of assessment useful however our main form of assessing children's development is through observation; watching and listening to the children play to find out how they are learning, what they are learning and what they like doing. 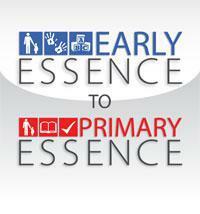 We currently use Early Essence, which is a secure online assessment program, to record and monitor these observations and to generate individual learning journals. Parents and guardians are able to access these learning journals online and can contribute towards their child's development by sharing their child's achievements and experiences using the Home Learning Journal feature. Parents and guardians may also wish to complete the 'All About Me' form. Please be assured that only you as the parent or guardian will have access to your child’s learning journal as it is totally secure and you will be given a unique password. Please click on the link below to access the Early Essence page.